It's easier to know what you're doing when you can see what's going on. One of the reasons I recommend the iterative approach to design is that once you've constructed one piece of your puzzle, or given yourself an overview of what your final product will look like, putting the rest of the pieces in gets that much easier, and flaws jump out at you. 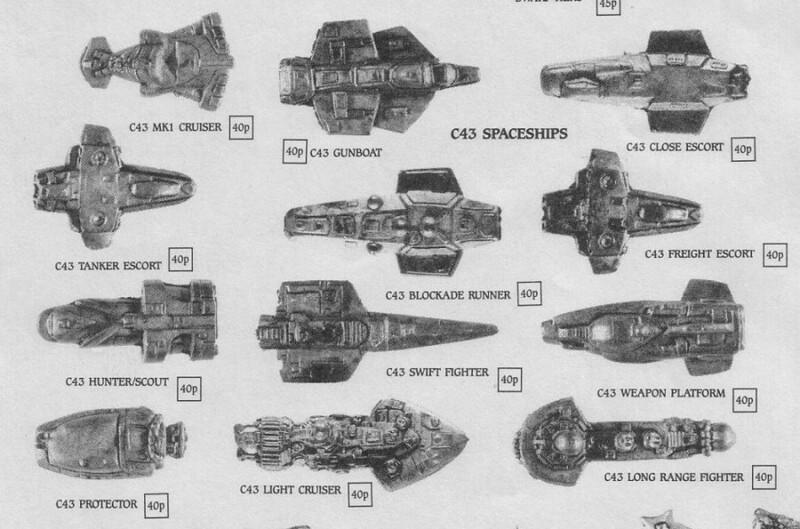 A lack of this overview has proved a problem for my spaceship designs in Psi-Wars. In iteration 3, it didn't matter because I just borrowed existing ships and used the assumptions there. Why is an Empire-Class dreadnought SM +14? It doesn't matter, it just is. But if I'm going to rebuild it, I need to know why it's that size, and what it's facing, so I can know how much firepower is enough, how much DR is too much, etc. More than that, if I'm going to run playtests, I often need more pieces than just "Dreadnough, Typhoon, Starhawk." How does a battleship fare against a dreadnought? To know that, I need a battleship! 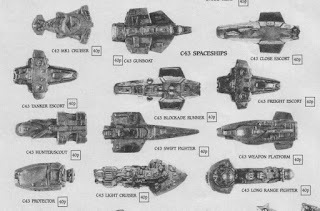 Thus I realized I needed a "generic fleet," worked exemplars of of typical space warship designs. By seeing how those ships worked and how they interacted with one another, I could see both whether my new rules worked, and what sort of ship designs I should built. It also offered a shortcut for my work: if I have to "run Psi-Wars now" I can use the ships in the generic fleet. They're not great, but they're enough. These designs are not meant to be the perfect design, nor are they particularly customized. The final versions of various navies will include much more particular ships: an Imperial Dreadnought, for example, might combine the designs of the battleship and the carrier below, while a pirate fleet might have several variations of corvettes. I also didn't dive deeply on details that didn't matter for the purposes of this test. So I didn't put much thought into crew complements or diplomatic accommodations, etc. These are basic designs meant to be sufficient to provide examples and to get a good overview on how the tactics of Psi-Wars work. This space left intentionally blank: the Starhawk and Typhoon are sufficient examples of this. This is essentially a heavy fighter with as many torpedoes as I found reasonable to load onto it. Its armor is basically useless against anything that would reasonably attack it except plasma flak, against which is fairly reasonable. I could certainly build more corvettes, lots and lots of corvettes! But I wanted to maintain my focus and husband my time, so I selected an time-honored WW1 tradition of sending loads of small torpedo-wielding boats. This would be a vehicle carrying a “heavy” torpedo, at 600mm, representing an even greater risk. This is a very specialized, intense sort of craft; “real” corvettes might not stand up to the extremes of this craft. I often see concern expressed by fans and patrons that corvettes will be too slow to deal with fighters and too weak to deal with capital ships. This will be an interesting experiment! Weaponry: Two forward fixed-mount heavy torpedo launchers (total ROF 2); 2 turret-mounted (FBRLU) gatling blaster cannons. Weaponry: 6 corvette-scale turrets with 3 cannons each (total ROF 18 or +4); 10 gatling blaster turrets (Total ROF 120 or +7). This is your typical “I’ve maximized my firepower” craft. Its intent is to engage in orbital bombardment and to destroy other capital ships. It is an “orbital supremacy” craft. This is designed to be the same size as the battleship, but with its big cannons ripped out and replaced with hangar space, launch pads and oh so many soldiers. Complement: 4000 soldiers and appropriate military equipment; 6 SM +5 fighter squadrons (150 fighters); 4 SM +6 bomber squadrons (100 bombers). After building these vehicles, I took quite some time and worked out how effective each ship was in its particular niche. I wanted to make sure things worked out more or less the way I expected them to, otherwise my rules and these designs wouldn’t work. I could post the whole thing but it’s already pushing 3000 words and is fairly sketchy rather than rigorous, loving detail, so I bet I could hit 10k words with a very detailed analysis of each, and I’m already getting comments about how “thorough” this work is. We’d like to move on, hmm? So, I’ll give you an executive summary! If you’d like a more detailed version, leave some comments. If I see enough interest, I’ll break them down further for you. The intent behind the battleship is to take out other capital ships; while slow by the standards of most other vehicles here, it’s pretty quick compared to other capital ships, which means it can generally bring its heavier armor to bear on most of them. It also has the range to play artillery and orbital bombardment, so it can attack from quite a distance. Against the Carrier: The Battleship has no problem defeating the carrier. Its capital-scale turrets make quick work of its force screen and both the capital-scale turrets and super-heavy turrets “only” inflict minor wounds, but they inflict so many that the carrier is sure to take real damage. On average, the battleship will inflict 6 minor wounds per round, and on average, the carrier will fail one HT roll per turn, which means the battleship will disable about one system per turn. It’s fast enough to keep the carrier from getting around to its side and none of the carrier’s cannons are enough to damage the frontal armor of the battleship. If it out maneuvers the battleship, its corvette turrets and capital turrets might whittle the force screen to nothing and then it can deal enough minor wounds that it might eliminate a system. So it’s possible for a well-piloted carrier to inflict some damage on a battleship, but it will be taking damage every turn it engages with the battleship, which has a better than even chance of keeping the carrier from outflanking it. Against the Destroyer: The battleship obliterates the destroyer. While the destroyer can certainly out maneuver a battleship, it can’t hide from its cannons and a single hit from a super-heavy turret is a disabled system, and will do so an average of 6 times at “knife fight” ranges. In return, a destroyer struggles to purge the screens from a battleship and cannot meaningfully damage it. A battleship can handle several destroyers at once! Against Torpedo Corvettes: A battleship can handle a single corvette, but could easily be overwhelmed. A single hit from even the smaller guns on a battleship is very damaging for a corvette, and the big guns are dangerously lethal, and the battleship has a pretty good chance of hitting a corvette even at a distance, though the corvette has a chance to dodge. On the other hand, if the corvette can fire its torpedoes, it has a good chance of getting one of its two torpedoes per turn through the flak fire and to hit the battleship. Heavy torpedoes do enough damage to a battleship that they don’t need to worry about aiming: a heavy torpedo hit to the frontal armor is a minor wound, but to the side armor a major wound, and the corvette is agile enough to gain advantage on a battleship. Thus a battleship can expect one disabled system per round per corvette, on average. Such corvettes will almost certainly outnumber the battleship! Against Bombers: Bomber squadrons kill battleship. A battleship has little chance of hitting a bomber, though against a sufficiently large number, it will get lucky with its big guns but not enough to really blunt the attack. The flak will have an impact on the bombers, but not so much that a few won’t get through. A bomber needs to get close with its torpedoes to really make an impact: a fighter-scale torpedo won’t damage the frontal armor, and a standard hit to the side-armor will inflict a minor wound, but against a weak point, any attack by a bomber will inflict a minor wound. It’s unlikely that a single bomber would pack enough firepower to take out a battleship, but a squadron can hit a battleship 75 times, and even if only half of them get through the flak (on average, it’s closer to 2/3rds), you’re looking at 30+ minor wounds, which averages 6 major wounds and at least one crippling hit. This would take about 5 rounds (aka 5 minutes). Against Fighters: Against strict fighters, like a typhoon, the battleship will win. Its flak is sufficient to take a fighter out in a single barrage and the fighters cannons cannot meaningfully harm the battleship. A fighter wouldn’t try to engage a battleship, though. The carrier is a pretty weak capital ship, highly vulnerable to just about every craft that’s geared to defeat capital ships. Its real strength is its ability to bring bombers to bear on opponents. Against the Destroyer: A carrier has similar results to a battleship when fighting a destroyer. It lacks the super-heavy turrets, but its capital-scale turrets will strip a destroyer of its screens and inflict minor wounds on the destroyer, while the destroyer will struggle to strip the force screens and land serious damage with its light cannons. A destroyer cannot meaningfully harm a carrier. Against Torpedo Corvettes: A carrier has slightly better odds against a corvette than a battleship, thanks to its corvette-scale cannons, but will still lose. It has far more corvette-scale cannons than the destroyer below and it has flak, which has a solid chance of slowing down fired torpedoes. A carrier might split its corvette-cannon ROF between 3 corvettes and expect to hit each about 4 times; two hits will strip the screens, and the two remaining hits will inflict major wounds. In return, the torpedo corvettes are even more likely to outmaneuver the slower carrier than the battleship, and they don’t need to worry about a heavily armored front, so they can just saturate the carrier with heavy torpedoes; each such heavy torpedo will inflict a major wound. Thus, while it wouldn’t be immediate, a carrier caught by a pack of torpedo corvettes is in a bad way. It’ll take a few out, but not before it’s defeated. Against Bombers: Bomber squadrons fare better against carrier than they do against battleships. They have an easier time reaching them and an easier time harming them. The only advantage a carrier has is its lighter cannons, which means it’ll take our one or two more bombers than the battleship. That, of course, and its complement of fighters! Against Fighters: Against strict fighters, like a typhoon, the carrier will achieve the same sorts of results that a battleship will, but thanks to its lighter cannons will actually fair better! The destroyer is “the littlest capital ship,” and its meant to showcase what a capital ship looks like when its specialized for dealing with smaller craft. Against Torpedo Corvettes: A destroyer can fend off about 3 torpedo corvettes at a time. Its quick enough that outmaneuvering it with the corvette isn’t guaranteed; its armor is also universal, so it doesn’t really care where the torpedo corvette attacks. Its point defense cannons can easily strip a corvette of its screens, and a single hit from a corvette-scale cannon is a major wound (thus disabled system), and it’s likely to hit a corvette several times if it aims and attacks. It can also use its PD cannons to effectively screen the torpedoes that attack it, giving it a good chance of taking them out. If it doesn’t, though, a single hit from a heavy torpedo is bad news for a destroyer. A sufficient number of corvettes can take out a destroyer, but a destroyer is much cheaper than a battleship, and credit for credit, more effective at defeating them and defending itself. Against Bombers: A destroyer can handle bombers, but enough of them can certainly take the destroyer out. A bomber is fast enough to outmaneuver and gain on a destroyer. A couple of hits from the PD cannons are enough to bypass screens and seriously damage the bomber, and a corvette cannon hit will absolutely kill it. However, a bomber torpedo that’s fired from a distance and not shot down will inflict a minor wound, while a close-in attack on an armor weakpoint will inflict a major wound (thus a disabled system). The bomber has a harder time guaranteeing that hit against a destroyer than it does against a battleship, and because of the PD cannons, really needs to either saturate the target or get in close, and given the lower cost of a destroyer, makes the exercise higher risk and lower reward. That said, a single bomber has a solid chance of handling a destroyer if its can avoid all of its attack, and a squadron is sure to take out a destroyer, but not without some losses. Against Fighters: Fighters lack the armor or firepower to really go against a destroyer. If the destroyer lacks a means of dealing with plasma lance missiles (composite armor, EMA, etc) and its force screens are down, plasma lance missiles could inflict a minor wound. The fighters have a pretty good chance of dodging the turrets of the destroyer, but lacking a way to seriously defeat a destroyer, they’ll lose eventually. I chose this approach because it models the naval combat of WW1. One might imagine a smaller destroyer that acts as a screen against torpedo corvettes and bombers: such a vehicle would be even more effective against other corvettes and bombers. Against Bombers: A single corvette wins against a single bomber, but the corvette can easily be overwhelmed. The bomber isn’t so quick that it can guarantee that it can outmaneuver the corvette, and an attack from a range with the torpedo has a decent chance of missing, thanks to the superior agility of the corvette. However, a single hit from a bomber’s torpedo is a devastating wound. The corvette will need to dodge or shoot it out of the sky, and it has a solid chance of both. Its PD cannons will take out a bomber if it can hit it 2-3 times, and it has about an even chance of doing so. The corvette is armored enough to disregard the cannons. Against Fighters: A skilled fighter with the right load-out can defeat a corvette. A fighter’s cannons cannot really deal with a corvette’s armor, but plasma lance torpedoes can. If it can get past the screens, a hit on the frontal armor is a minor wound if its composite and major if it isn’t, and a hit on the side is always major or worse. It is sure to outmaneuver the torpedo corvette (though not as easily as it does against capital ships) and has a good chance of evading the PD cannons. A fighter isn’t the best choice for defeating a corvette, but it has a decent shot. Against Fighters: Fighters are sure to defeat unguarded bombers. They’re fast enough to gain advantage on them in a few turns, and their cannons are enough to seriously damage a bomber in a few hits. Each hit that bypasses the force screen (It’ll take an average of 2 hits to do so) will deal a major wound (thus disabling a system). On average, a fighter that hasn’t matched speed will hit once per attack, but one that has will hit 4-5 times per attack, which is enough to take out screens and disable a couple of systems per turn; it’ll take a few rounds to completely destroy a bomber with nothing but cannons, but it can be done. A plasma burst missile is similarly devastating if the bomber can’t jam it, and a plasma lance missile is a guaranteed kill if it hits. The only trick with fighters is if they have enough time to defeat the well-armored bomber. The turret also poses a risk, but has a less than even chance of hitting unless it can match speed, and a bomber won’t match speed with a fighter, and if does hit, chances are, the fighter will dodge. The results look much closer to the WW1-WW2 sort of combat that we might want. You have the rock-scissor-paper of Capital vs Destroyer vs Corvette. Meanwhile, bombers are devastating against just about everything but fighters and maybe corvettes and destroyers and cheaper besides, which arguably makes destroyers a better buy than corvettes, though I think they have a slightly harder time dealing with capital ships than corvettes do. Fighters are useless… except for defeating corvettes and bombers, which are the great threat that capital ships face. Psionic Powers in Dogfighting Action!